Childs Engineering Corporation, as the prime consultant, developed the structural design for a pedestrian walkway and improvements at the existing North End Park. The walkway extends from the North End Park westward over the waters of Boston Harbor to the eastern end of existing timber wharf at the Hoffman Building at 160 North Washington Street. The walkway passes under the North Washington Street Bridge between the third and fourth stone abutments thereby separating pedestrians from the vehicular traffic on North Washington Street. 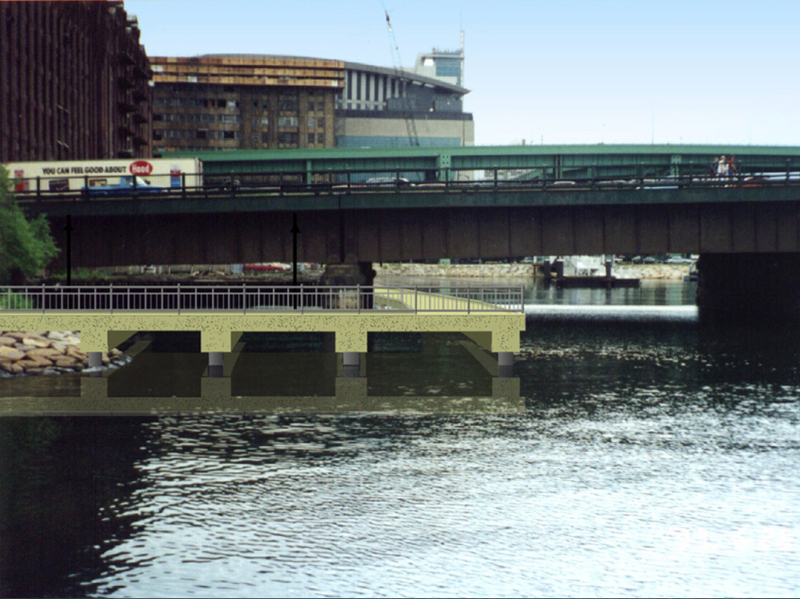 The walkway is part of the Metropolitan District Commission’s overall master plan for the new Charles River Basin and was constructed as part of the mitigation program for the Central Artery/Tunnel Project. 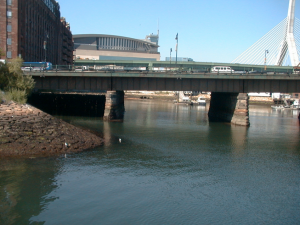 The walkway is 14 feet wide with a clear pathway of 12 feet, similar to other portions of the Boston Harbor Walk. The walkway is of steel pipe pile supported concrete deck structure with 38 piles.